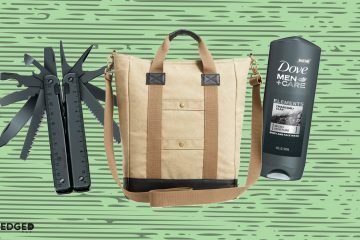 Gift Ideas for the Athletic Guy. Because athletic guys need more than just shorts. Looking for the perfect gift for someone who considers themselves athletic? 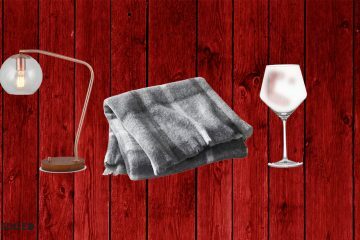 Whether they visit the gym every day or once every other month, these gift ideas will help them feel good (and perhaps even help them reach their goals). 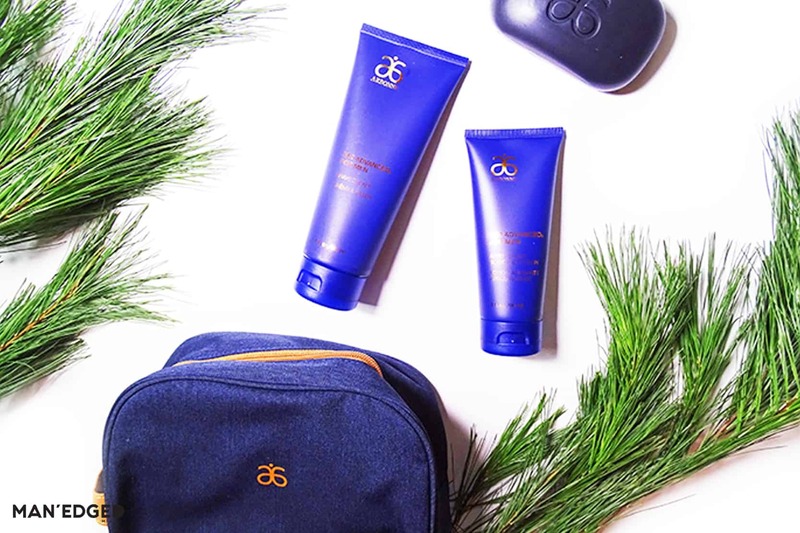 Whether the athletic guy you know is into outdoor hiking or is a gym rat, help him keep his face on point with this great men’s grooming kit by Arbonne. This set is perfect for the clean and confident man that’s looking for an easy way to clean up after a long workout. The set comes with this really cool Dopp kit and includes a men’s shave cream, after-shave soothing lotion, and new charcoal soap bar. Athletic guys know that getting in a good workout is hard enough as is. When the body is tight, it makes it so much harder to get in that much needed physical movement. That’s where the TheraGun comes in. 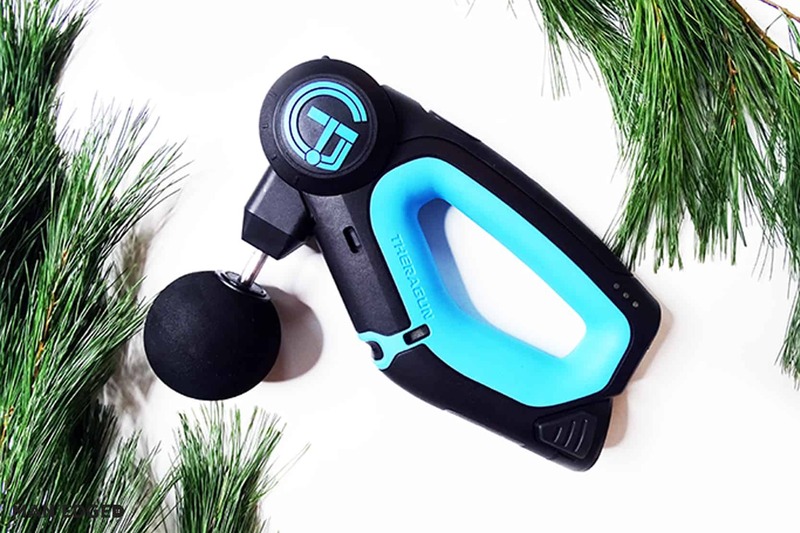 The new G2PRO is TheraGun’s latest step in handheld vibration therapy. The easy-to-use device will both activate muscles and relieve pain and soreness to help people do more of what they love. Body protection is huge when it comes to living an athletic lifestyle. Especially on the trail or during physical contact sports. That’s why we love these Pro Ankle Guards by G-Form. Their super-low profile allows for them to effortlessly blend into any outfit while providing the ultimate impact protection. Our favorite feature is the body-mapped, impact absorbing RPT pads to protect from impact. Your giftee will totally thank you for helping protect their ankles. 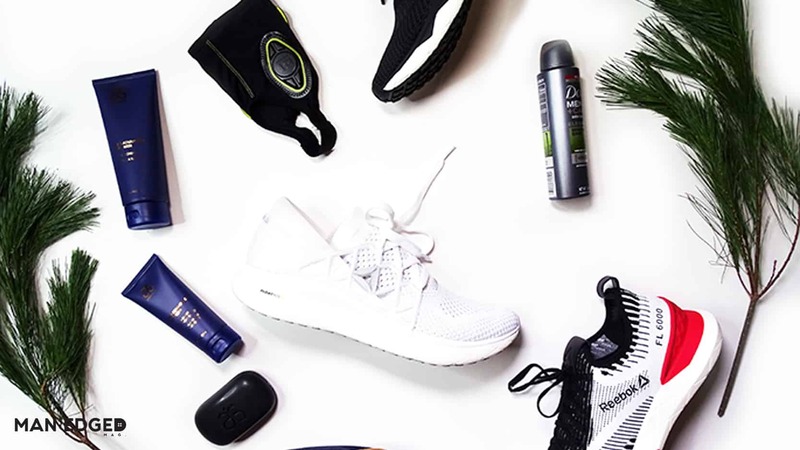 Help the athletic guy smell good with the Minerals + Sage Antiperspirant dry spray by Dove Men+Care. The Dove Men+Care Elements product range was inspired by nature’s elements and features premium great-smelling ingredients.Its sleek design will fit into any gym bag and the best part is that spray won’t cause a huge cloud to form in the locker room. We know a big pet peeve of gym goers is having to pack two sets of shoes: one for during the gym and one for after. Problem solved. These Reebok Floatride sneakers are lightweight, durable and sleek enough to be worn on the street. 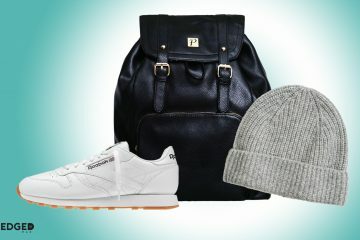 You’ll not only be giving him the latest in athletic wear, but lightening his gym bag as well. If we’re going straight from work to the gym, the last thing we want to do is carry a big bulky gym bag as we leave the office. This Reebok Snakeskin bag is the answer we’ve been looking for. 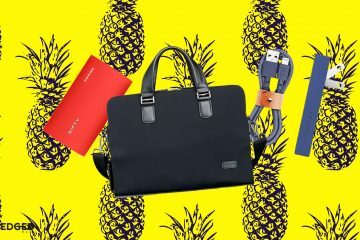 Sleek, modern and durable, it’s made to carry your gym clothes, laptop and anything else you need to power through the day. As the winter temperatures drop, layers are essential for staying warm and comfy during your workouts. The Endeavor hoodie is the perfect piece to throw on over your tee and sweats so you can brave an outdoor, or indoor, workout. Besides its sleek design, the attention to detail- media pockets, thumb holes and ventilation panels- are what put this at the top of our wish list this holiday season.